In accordance with the goals of the Institute, the ACES group spent a great deal of time and effort on seeking to transfer its research results on ambient computing and security to potential users. Our motivation stems from our observation that producing innovative research results, even those protected by patents, is no longer sufficient for a modern research team. It is essential to convince industry that solutions are robust, scalable and most importantly, address a problem that real users are faced with. This research approach necessitates the development of several prototypes that are tested in real environments. It also necessitates a continuous technology watch to ensure the validity of submitted patents, as well as verification of existing patents and research reports. Although this activity is, traditionally, unusual for a research team, it becomes inevitable if results are to have a real impact in the ambient computing applications currently being deployed. Our technology transfer efforts have been successful as a part of ACES group created a start-up company called SenseYou in July 2008. Its current business is based on the exploitation of INRIA patents and software dedicated to "physical object coupling principle" and their application in security area. 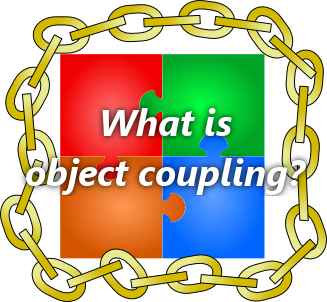 This identification of industrial partners able to exploit the potential industrial transfer behind their new ideas about "physical coupled objects" is done in a closed cooperation with ACES group members. A first deployment has been done last June with Geneva Airport. Due to our current discussions with potential partners, we think that there is a strong probability of successful transfer beginning of next year (airport security control, bike-park access control). Securing sensitive sites: Ubi-Quitus brings control of "laissez-passer" based on objets and their owners. Logistics : Ubi-Post ensure the parcels'integrity for shipment to delivery. It also ensures the unique identification of the recipient. Acces control : Ubi-Park is a unique and simple solution based on bikes / owners couples to ensure the safety of bicycles parkings. Through its expertise in the field of ubiquitous systems , SenseYou offers Ubi-Board to provide contextually personalized information directly on public display or on mobile phone.